HF: Here’s another in our series of Ginger Factories from the late 19th century and early 20th. I cannot find out much more about this company and would like to know when it was established. 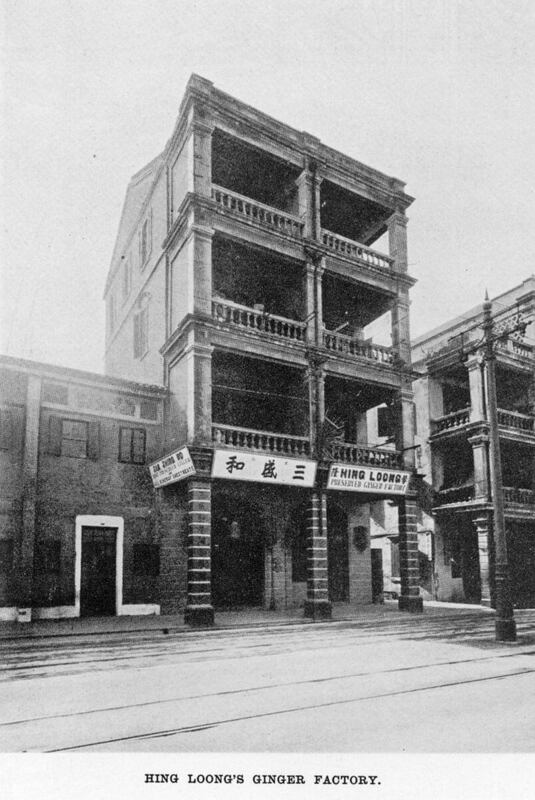 Also about Wong Chi Chau mentioned in this article. And the company of which he was the compradore of, Messrs. Alvares & Co. The article says it was responsible for “exporting the produce of the factory”. 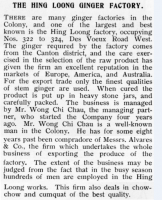 The article begins: “There are many ginger factories in the Colony, and one of the largest and best known is the Hing Loong factory, occupying Nos. 322 to 324 Des Voeux Road West. This article was first posted on 28th December 2013. 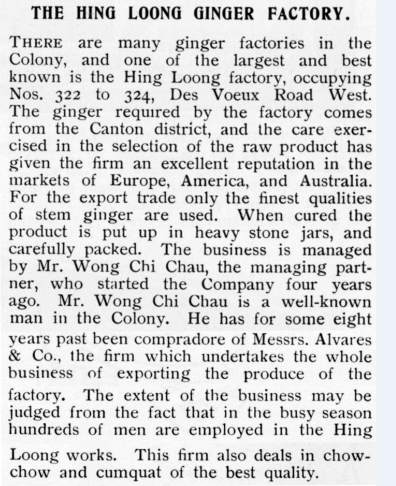 This is most interesting to me – I’ll try to find out if my Maternal Great Grandfather, Wong Oi-chau, who was said to own Man Loong Ginger, could be identical to Wong Chi-chau of Hing Loong Ginger. It was common to use aliases in those days.